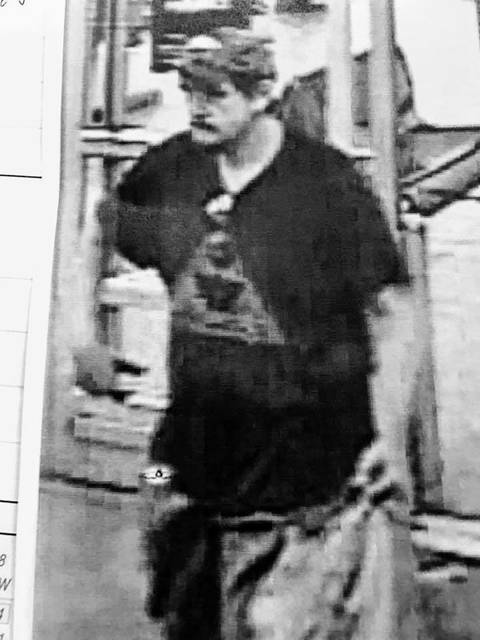 The New Boston Police Department needs the help of the community to identify a suspect that allegedly retrieved a Credit/Debit Card during a car break in, and used that card to make several purchases at the New Boston Walmart location. While the police department has been unable to identify the suspect, they are reaching out in hopes that someone will be able to identify the man in question. Anyone who believes they know the suspect, or can identify him are asked to call the New Boston Police Department at (740) 456-4109. The New Boston Police Department reassures that all callers will remain anonymous, and thanks the public for any information pertaining to this individual.